This one is for you. A place to show what your working with and rock yo natural hair in all it’s glory yup we are taking over and now we have a place to share in the Instagram world. 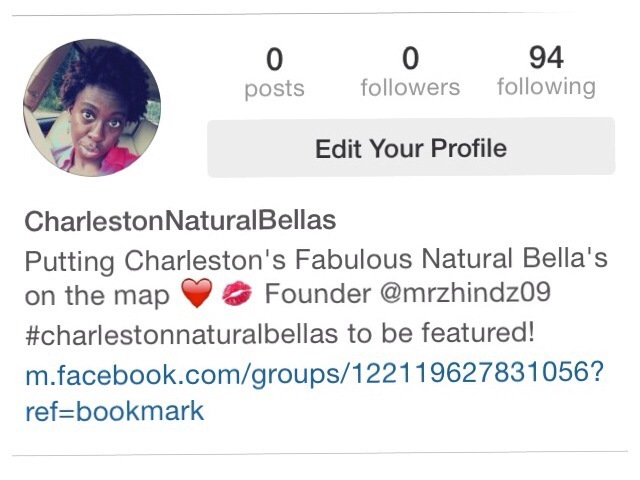 Follow us at Charlestonnaturalbellas on the IG. To be featured #charlestonnaturalbellas. I would live to see the feed flooded with photos of Charleston’s finest natural hair sistas. Share, spread, & support!